I love making all kinds of jarred stuff, like chutney, cranberry sauce, foriana sauce, pumpkin butter… It’s just fun – especially because you can really create as you go. And chutney is one of those things that you can completely make your own. I have one apple tree on my property. It grows little green apples. They’re not great. They’re dry, and not that flavorful. But I feel compelled to cook with them because I’m in competition with the raccoons. Overnight, they can rid the tree clean of every apple. It’s like they have their whole families come with apple picking bags. We know it’s the raccoons because we finally have proof. This July, before we left town, my husband set up his wildlife camera on our peach tree. The raccoons have always beat me to my peaches. On one year, I notated on my calendar that they disappeared on July 17th. So, we were ready in July. And there they came, along with their teenagers. No bags across their shoulders, but they’re certainly smart. In the photos, you can see the larger raccoons in the tree, and the children gathering them up down on the ground. We figured out from the span of the dates on the photos (those aren’t the real dates because my husband is electronically challenged) that they really don’t scour the whole tree overnight, like it seems, but they take a few days to do it. So you really don’t notice until it’s too late. Plus, by then, most all of the branches have been broken by their sturdy bodies, which makes this phenomenon doubly frustrating. But back to the apples. 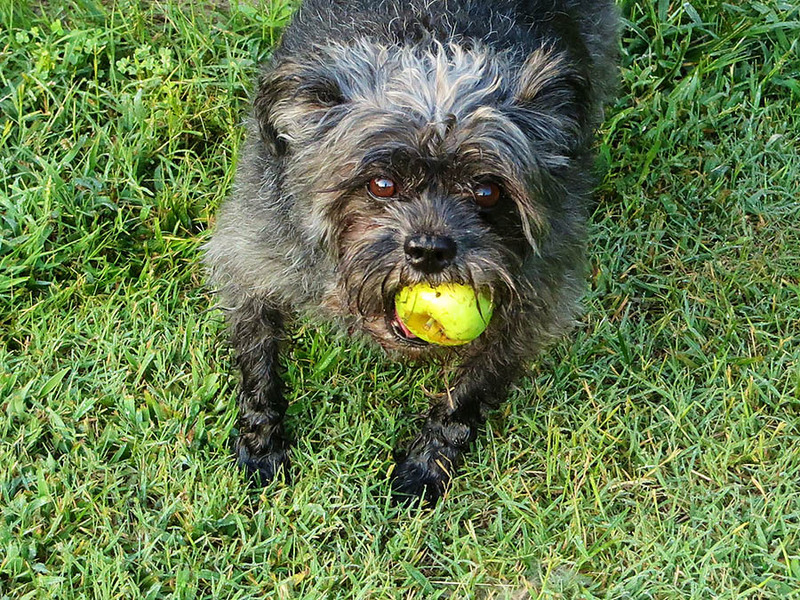 On most years, I let the animals, including my dog, Louie, enjoy the apples. But this year, I really wanted to take advantage of some of the apples. Plus some crabapples, that I know nothing about, but that’s another post. I picked half of a grocery bag of apples and crabapples, and it was heavy. And don’t worry, there are about a million apples still on the tree. Now to put on my thinking cap. Crappy-tasting apples. What in the world to do? So chutney came to mind. Because there are so many other flavors in chutney, like the savory ingredients, the sweet ingredients, the spices, and the vinegar. The apples would just add substance. Perfect. So here’s what I did, and, as usual, I’m only listing ingredients as a guide, because you can use what you like in your own chutney. But I can tell you that you cannot taste bland, non-juicy apples in this chutney! In fact, it’s one of the best ones I’ve made! In a medium pot, heat the oil over medium heat. 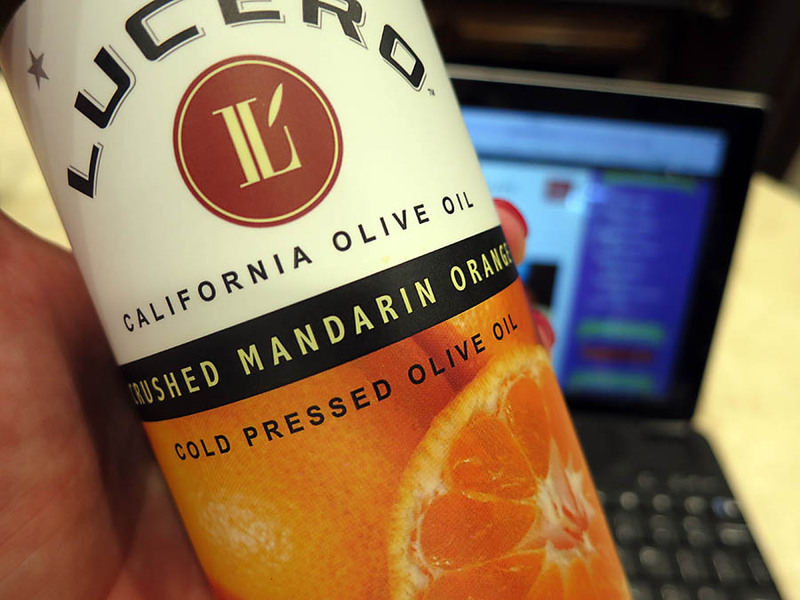 I used some orange-infused olive oil just for a little added flavor. Add the onions and sauté them for a few minutes, or until soft. Add the garlic and stir it in. Immediately add the apples, dried fruit, sugar, seasoning, and about 1/4 cup or so of liquid. The liquid is just to start the steaming and cooking/softening process of the fruits. Bring to a soft boil, then cover the pot, turn the heat way down, and let the chutney cook for about 45 minutes. Occasionally check to see how much liquid is on the bottom of the pot. You want the fruits to keep some semblance of their shapes, not for the chutney to turn to mush. Remove the lid of the pot and let the chutney cook if any excess liquid remaining needs to evaporate. Don’t stir. For the last step, add a little bit of apple cider vinegar to the chutney, and let cook for about one minute. Remove the pot from the heat, then gently stir in the juice of half of a lemon. Remove the cinnamon stick, and let the chutney cool completely. The one thing that’s really nice about chutney is that is freezes well. Unless you want to make a dozen jars of chutney and are willing to can them, just make a small amount and stick them in the freezer. It’s so handy and easy. And that way you can make different varieties of chutney! And I finally have a labeler!!! 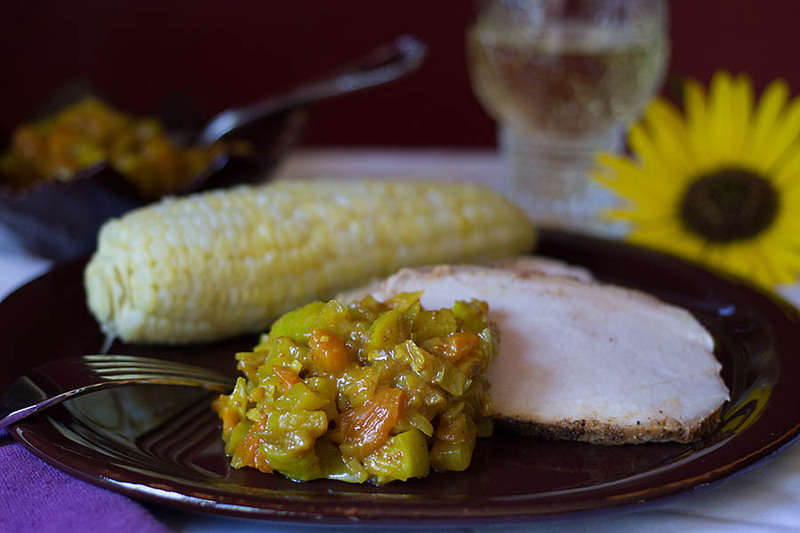 Today I served the chutney with pork loin, and corn on the cob. The curry flavors are striking, especially with the apple, fig, and apricot. For two actual chutney recipes, check out my Cranberry Apple Chutney for the holidays, and my spring chutney – Strawberry Onion Chutney. Just if you’re interested, I paired this meal with an Albariño. Fabulous!!! This chutney is also good with roasted chicken. I know – it was my lunch today! 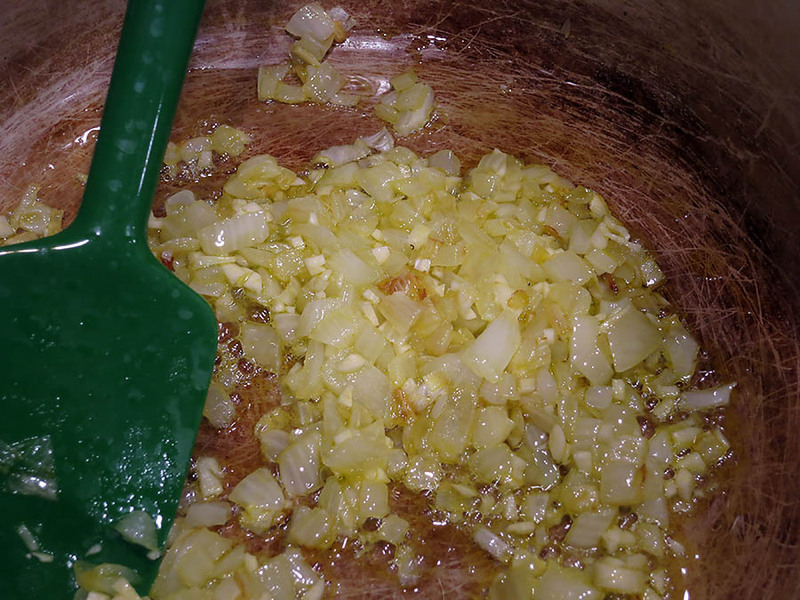 note: Typically, I place all of the chutney ingredients, except the final vinegar and lemon juice step, in a pot and cook everything together, an example shown below. This time, just for fun, I decided to sauté the aromatics first. It added a little oiliness to the chutney, which worked fine. But make sure, if you sauté the aromatics first, that you serve the chutney warm or at room temperature. 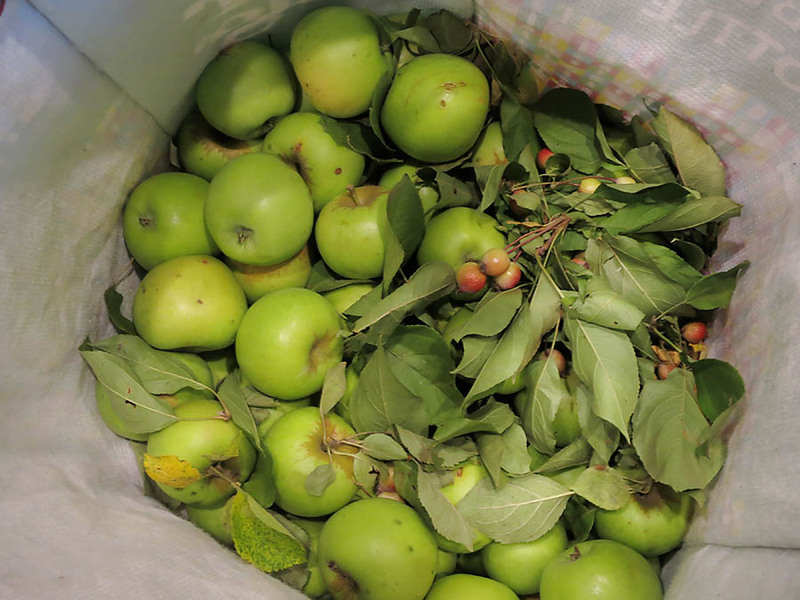 What a lovely combination of flavours in your chutney – and great not to waste those apples! I know. They’re not great, but I hate to leave them all to the raccoons! Your raccoon sounds like the chipmunk that eats all of our birdseed. You’ve done well finding a way to use those crisp green apples. Thank you. Funny about the bird seed. Raccoons found their way to the 2nd story of our house where I put out bird seeds, and they were tearing off the shingles to get to individual seeds that had fallen in between the shingles! We had to severely prune a tree to keep them from climbing up! This is such a great post. Thanks for sharing the story about your racoons (they look huge on the pictures! ), and the chutney sounds delicious. I love chutneys too, and my parents have two racoon-free apple trees in their house, with apples that don’t taste great, but are perfect for sauces, cakes, and chutneys! I’ll try to get some for myself if they are willing to share! I’m sure they’ll share with you!!! This really is a favorite chutney of mine, and I’ve made lots! Excellent post, mouth watering, and it gave me ideas to for some of our fruits & vegetables. Our deer only do damage to mulberries. They fortunately don’t get into my garden! I love your story telling style of writing. I am lately in love with an olive chutney I buy at a wine farm. It is just to die for and of course I eat it in and on everything in sight. Great post thanks. olive chutney – wine farm – can you do a post on them and share the recipe, is it like tapenade???? sounds very interesting and still need to plan my SA trip every time I read your blog and things you eat down there FB! Delicious looking chutney. Reminds me of my folks doing likewise with excess apples from our garden. Apples usually play a minor part in my chutneys, but this one was really good!!! Like you, I feel compelled to can all summer. We have battled Japanese beetles and haven’t worried about raccoons, yet. Are they black and eat tomato plants? How lucky you are to have those fruit trees (even with the raccoons)! I need to plant more. The problem is that the raccoons break all of the branches. I know! It’s a battle every summer! Ahh.. Hahaha!! My husband is at war with the raccoons at our cabin this summer! They’ve been eating the suet we put out for the birds. He comes up with a feeder…one that the thinks the raccoons won’t be able to penetrate… And every morning the telltale footprints on the fence and the empty feeders get him so fired up! Lol… So I had to laugh at your raccoon apple tree problem.. And can’t wait to tell him about it! Your chutney is beautiful.. And the combination of ingredients are perfect! I am totally making this. Along with pork and corn, because that just looks so delicious! Thanks, Prudy! Raccoons are definitely annoying. But they’re so damn cute!!! They really are freaking cute! Although I’d probably have a heart attack if I encountered one face to face! I wish every day was 36 hours! I completely understand. I take savory over sweet always! Amazing night pictures of huge raccoons! Bet you felt like a real detective! Thanks for sharing the chutney – I have never tried chutney but I definitely love creating things I can can like spreads, jams, sauces. Chutney is next then! Oh, it’s a must. Chutney is so unique in that it’s sweet and savory! Do you can your chutney? Eat as you go? I don’t can it, because I like making a few different kinds, so I just freeze it. Of course, I could can three jars, but I just don’t. Freezing has no negative effects on chutney in my experience! Well, the truth is, my husband feeds them every night. So they’re definitely not going anywhere! OMG this is hilarious. I used to have crab apple trees, but not a real apple tree. My parents said you couldnt eat the crab apples. I always suspected you could. I love that you have surveillance on your tree. Raccoons really don’t mess around. They’ll eat anything. I love apples and apple season Your photos are beautiful. This chutney recipe is so up my alley. I’m bookmarking it. I can’t wait to make it. The perfect blend of sweet and savory. Thank you! It really did turn out very yummy in spite of the bland apples! I wish it wasn’t true!! !